The outlook for the global car markets in the coming years is rather bad. On the one hand, production plants will have to be converted to electro mobility using large investments, and on the other hand, the demand for new cars is falling. Major austerity programmes to switch to electric cars have been worked out. Porsche, for example, wants to save EUR 6 billion over the next eight years by rationalising its operating processes, while spending more on the development and production of electric cars. The regulatory burden is normous. In China, there will be an electric car quota of 10 % for new cars in 2019. In the EU, rising CO2 missions from gasoline engines following the decline in diesel-powered vehicles will have to meet the new CO2-EU targets from 2021, according to which only 95 g of CO2/km per new car are permitted. With depletion of natural resources and growing awareness of the limited capabilities of the globe to cope with pollution, the need to design life-time recycling loops for all types of products is steadily increasing. Rubber articles of all sorts and the need for a proper disposal of these at the end of their life-cycle cannot escape this trend, and also come more and more into focus. Most conspicuous in this context are tires, of which approximately 800 million are scrapped world-wide on a yearly basis. If piled up at a height of 25 cm each, it establishes a pile of 200,000 km, 2/3 of the distance to the moon: per year! Apart from the environmental problems which these scrap tires represent, they actually are also a source of valuable materials if they can be recycled and reused in proper ways. 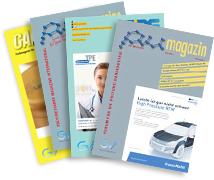 The present paper reviews latest developments in rubber recycling: devulcanization of rubber articles, including tires of various sorts, and the contribution which the research at the University of Twente has made in this field. It highlights what has been achieved for different major rubber types, but also what the hurdles are to be taken before rubber recycling is as obvious a technology as the manufacturing of first use rubber-articles. Varying fuel compositions worldwide: What are the effects on seals? Due to the need for new fuels with a lower environmental impact – may it be either lowering the carbon dioxide, general greenhouse gas, NOx or particle emissions – the worldwide landscape of fuel compositions is currently drastically changing. While in Central Europe a specified fuel is predominant, the constitution of fuels might tend to vary more in most other countries. Especially in China, new fuel types like oxymethylene ethers (OME), biodiesel or dimethyl ether (DME) are already commonly applied . Researchers at Freudenberg Sealing Technologies have reviewed the impact of those compositions on the seal materials and the seals themselves. Rubber/metal composites are known to be highly durable under normal atmospheric conditions. However, when they are exposed to aggressive conditions such as marine environments, they tend to fail prematurely. The failure is usually caused by the loss of adhesion of the rubber to the metal substrate. The aim of this work is to elucidate the adhesion failure mechanism by using a commercial bonding system for bonded rubber/metal exposed in marine environment. A simulation study carried out as a salt spray test indicated that corrosion of the exposed metal substrates induced the loss of adhesion through cathodic disbonding. Laboratory exposure to an alkaline medium, cathodic disbonding and anodic undermining tests suggested that the hydroxyl ions generated from corrosion reactions contributed to the adhesion failure. Autonomous driving requires constant control and a continuous connection to the roads and their various conditions and uncertainties. Three international doctoral students at the Technische Universität Dresden (TUD) in Germany took a close look at the potential in tyres and have investigated their important role in mobility of the future. In their dissertations, they developed technologies and processes to enable the production of so-called smart tyres. These tyres could act as sensors, grow back together after a puncture, and adapt to the conditions of their surroundings. Plastics are to be characterized as solid fuels, derived from combustible materials. The most logical procedure of their ultimate disposal should be by incineration in closed systems. In this process, it should be possible to generate useful energy as well. For a safe, environmentally friendly (generation of less pollutants, especially nitrogen oxides) and an efficient energy extraction during waste incineration, the combustion process needs to be conducted under controlled conditions, preferably at low temperatures. MCA Technologies GmbH in Switzerland has developed an environmentally friendly technology, which on one hand imparts a sustainable safety to plastics in the event of fire during their use, and on the other hand, ultimately enables their environmentally friendly disposal as waste, and thereby simultaneous generation of usable energy. The technology is also intended to safeguard against open waste burning of plastics practiced in many countries. Trinseo opened a new styrene-butadiene rubber pilot plant in Schkopau, Saxony-Anhalt, Germany, in February 2018. The production expansion adds additional 50 kt of S-SBR capacity to the Schkopau site and increases the company’s global S-SBR production by 33 %. The plant, with more than 500 staff members, is an important employer and economic factor in Saxony-Anhalt that has a strong focus on research and innovation. 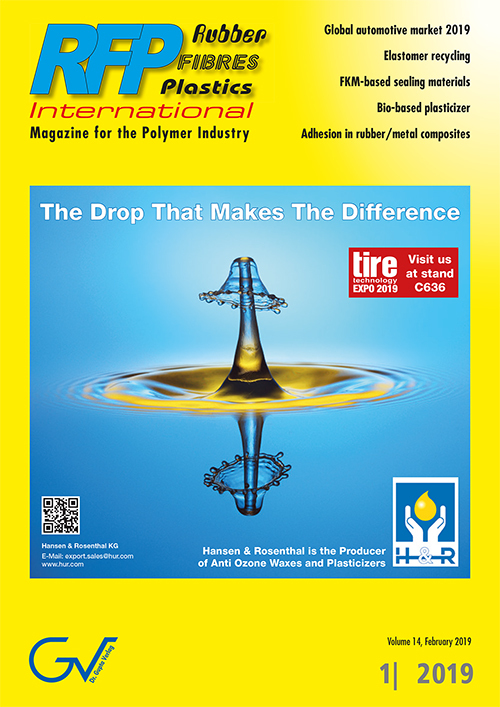 Dr. Sandra Hofmann, Technology & Innovation Director, Synthetic Rubber, at Trinseo since September 2017, explains how the company’s new styrene-butadiene rubber pilot plant can shorten development times for tire manufacturers and elucidates the significance of energy-efficient tires for climate protection.